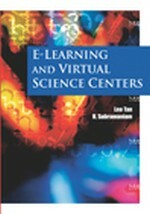 This chapter looks at ways of examining informal e-learning environments to address innovative pedagogy, from two well-known institutions, where the theme of science is promoted within virtual centers, in a manner that is motivating for both online and onsite visitors. The author argues that real-time interactions such as Web casting act as a focus that enriches the people’s interest and thus enhances the notion of Public Understanding of Research (PUR), while “being socialized” through the scientific community. Science centers have recently expanded their mission beyond hands-on interactive exhibits, by adopting a reflective perspective drawn from a multidisciplinary approach to technological progress; that is, covering sociological, political, historical, philosophical and even ethical issues through online conferences and live demonstrations for visitors to become involved in topical debates. This allows them to form their own viewpoints on contemporary concerns ranging from genetic engineering and sustainability to space exploration. Within the diversity of educational resources offered by virtual science centers, it is suggested that museologists should emphasize a comprehensive description of scientific-related matters, tackling subjects, people and places, rather than objects themselves in order to genuinely fulfill a social need and arouse the audience’s curiosity.